Kara (Melissa Benoist) joins Nia (Nicole Maines) on a trip to Nia’s hometown to visit her family during the town’s annual Harvest Festival. While home, Nia’s mother (guest star Kate Burton) encourages her daughter to embrace her destiny. Meanwhile, Alex (Chyler Leigh) deals with a street drug that is turning people violent and giving them temporary superpowers. Air Date: Sunday, Jan. 27 (8:00-9:00 p.m. ET) on the CW. 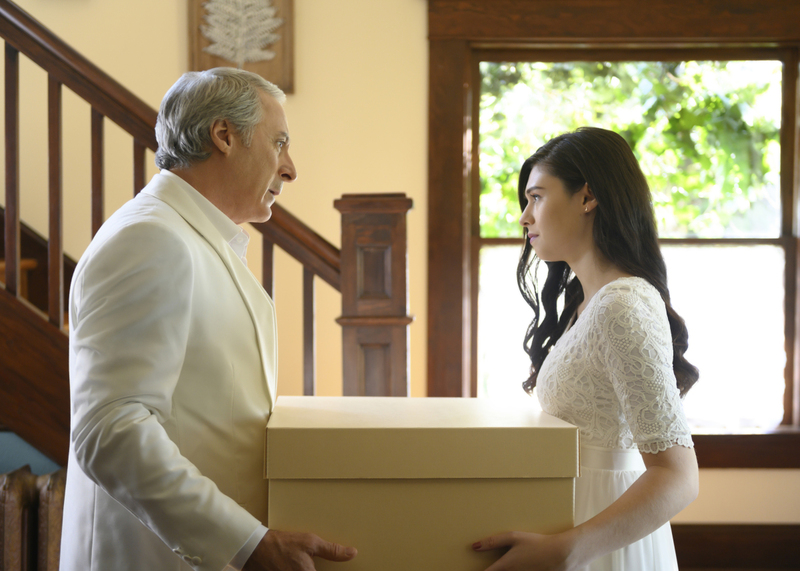 Supergirl -- "Blood Memory" -- Image Number: SPG411a_0022b.jpg -- Pictured (L-R): Garwin Sanford as Paul Nal and Nicole Maines as Nia Nal -- Photo: Diyah Pera/The CW -- ÃÂ© 2019 The CW Network, LLC. All Rights Reserved.